We’re super excited to announce that our brand new Christmas catalogue is now available. Over the last few months our Silvertoad Elves have been working tirelessly to bring you the best of the best Christmas catalogues around yet! Click here to view it. The Christmas season is almost in full swing so why not be prepared early this year? 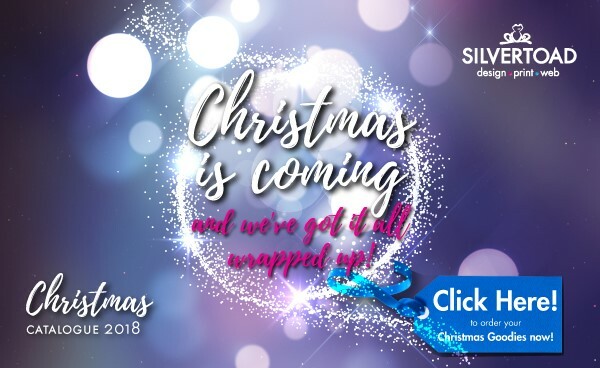 We can help take the pressure out of your Christmas marketing needs, why not view our online Christmas catalogue for some amazing ideas with even better prices. Whether you’re looking for promotional giveaways, or just something that’s that little bit more personal, our new Christmas catalogue features a wide range of Christmas goodies which you can personalise and use to promote your company or service this festive season. Looking for something specific that isn’t featured in the catalogues? For any enquiries please don’t hesitate to call us on 01582 515 089 or if easier why not drop us an email on our [email protected]. We’re looking forward to the festive season and can’t wait to see what the New Year has to offer!